LOVE, PEACE & UNDERSTANDING: THE CHAMBERS BROTHERS. HOMAGE TO CATALUNYA PAU RIBA. CUBY & THE BLIZZARDS Appleknocker’s Flophouse, 1969, entire A-side. JEFF BECK GROUP Beck-Ola, 1969, entire A-side. 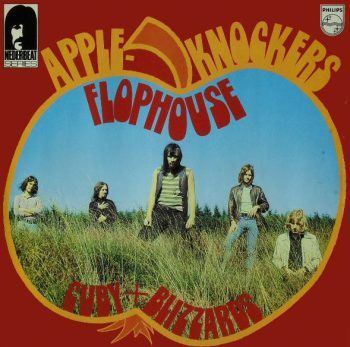 CUBY & THE BLIZZARDS Appleknocker’s Flophouse, 1969, entire B-side. JEFF BECK GROUP Beck-Ola, 1969, entire B-side. BLOOD, SWEAT & TEARS Blood, Sweat & Tears, 1969, choice tracks. TIM ROSE Through Rose Coloured Glasses, 1969, choice tracks. THE BEACH BOYS 20/20, 1969, choice tracks. FREE SPEECH: Carnaby Street , The Mini-skirt, Dollie Birds + Jim Hightower on Poverty and War. SPECIAL:LOVE SCULPTURE & THE EVERLY BROS.